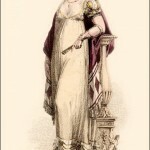 La Belle Assemblée, June 1809. 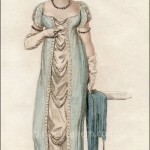 Despite the title at the top of the print, this is not a promenade dress, but is described as Evening Full Dress. 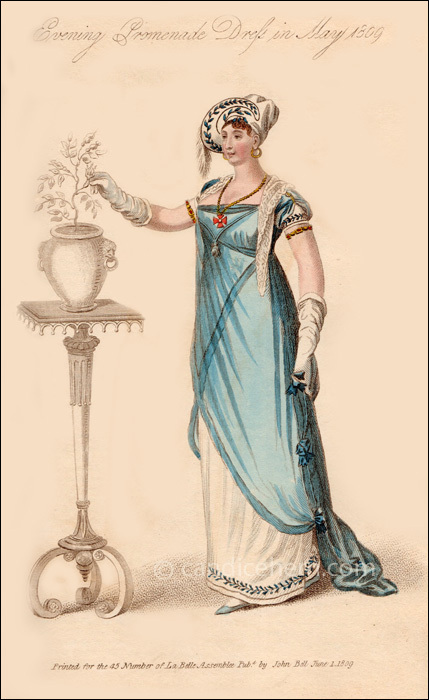 Perhaps it meant that one could promenade around the ballroom in this dress. Note the armlets. (The description includes bracelets as well, but they are not shown. Neither is the described fan.) 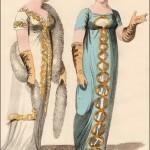 Throughout the Regency period, armlets and bracelets were always worn in matched pairs. Are you a Google Chrome user? To see this feed correctly, you will first need to install the RSS Subscription Extension for Chrome.